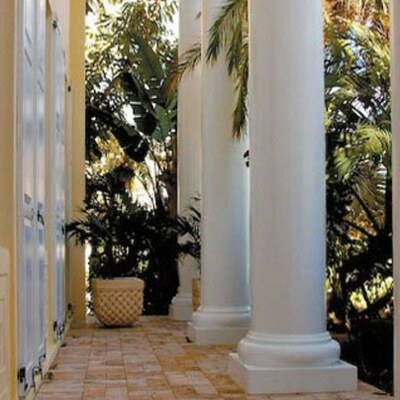 Zuern Building Products offers several styles of columns to enhance the exterior beauty of your home. Whether your style is modern, craftsman or colonial, Zuern design experts can guide you through the options to make sure your choice of columns will add grace to your home. Crown Column’s wood porch posts add a distinctive touch to any style home. Porch posts are often used as supporting elements for porches. Combined with balusters, hand and shoe rail, and decorative millwork, porch posts establish the popular Victorian style. Crown’s wood porch posts are constructed of select softwoods, laminated and finger-jointed for greater strength and stability. They offer the most diverse product selection imaginable, ranging from the timeless beauty of the ancient classics to today’s upbeat modern styles, fashioned with the most advanced manufacturing technology available. 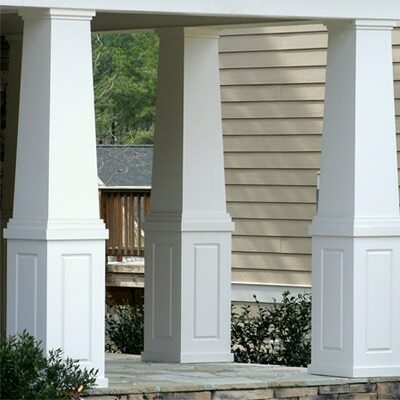 Digger Specialties’ line of aluminum columns is branded under the name of DSI Columns and offers a number of column styles including round fluted, square fluted, smooth and astragal, recessed and smooth. New ideas are the key to growth in this industry. We actively seek better ways to service our customers to help them meet the changing needs for better and different virtually maintenance-free outdoor products. DSI is proud to represent American made products and bring you the best America can offer. By producing products in one of our four DSI plants, we are able to control quality, accuracy, and timely delivery for you, our customer. Dixie’s synthetic posts are manufactured from a low maintenance poly ethylene and are finished white, giving you the option to paint them your own custom color or leave them unpainted. Choose from either a Colonial, Square, Chamfered or Lamp post design. The pipe in the center of the lamp post is designed to allow a wire to be easily inserted. Each is available in sizes and load capacities to fit any application. Whether they are used on porches, gazebos or inside the home as room dividers, our wood porch posts are manufactured from finger-jointed pine, offering exceptional style, quality and value. 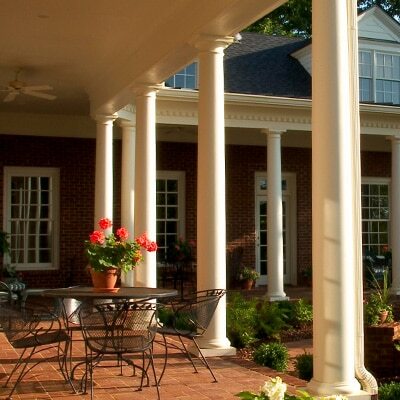 Fypon Columns provide the perfect combination of classic beauty and unsurpassed strength. Constructed of a durable high-density urethane, our Columns are designed to be beautiful as well as strong—with load-bearing capacities. The low-maintenance urethane used to produce Fypon Columns is resistant to moisture and insect infestation. They can be used in interior and exterior applications and are the perfect solution for high-humidity environments. The column wrap can transform an ordinary post or pole into a beautiful and elegant presentation for any style home. The complete kit that includes cap and base, squaring blocks, adhesive caulk and instruction sheets, making installation a breeze. There’s nothing like the beauty of real wood turnings to add distinction, character and value to a building project. Turncraft Porch and Lamp Posts add charm and personality to walkways, landings, decks, and porches. They are turned from finger-jointed, kiln-dried western wood species. 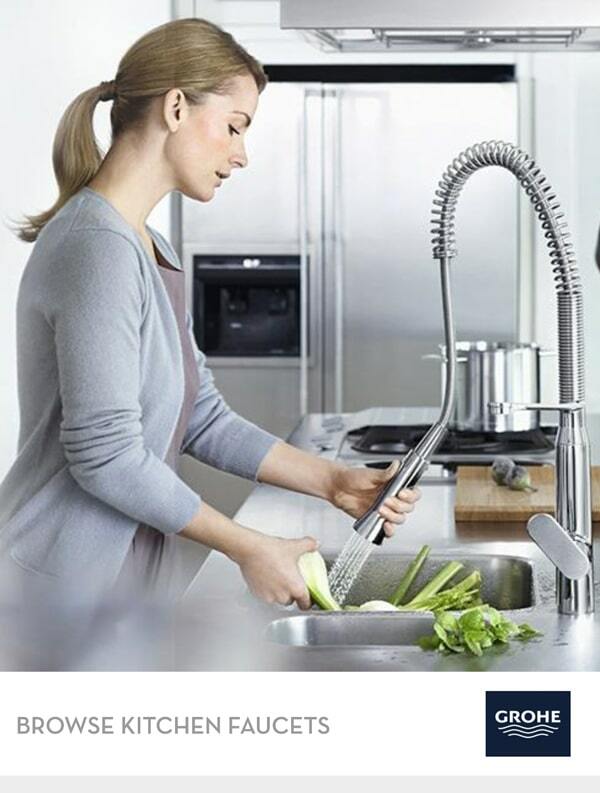 Turncraft provides the largest selection of products from any manufacturer. Period! All Turncraft products are designed to work together for perfectly matched columns regardless of the type of materials used.